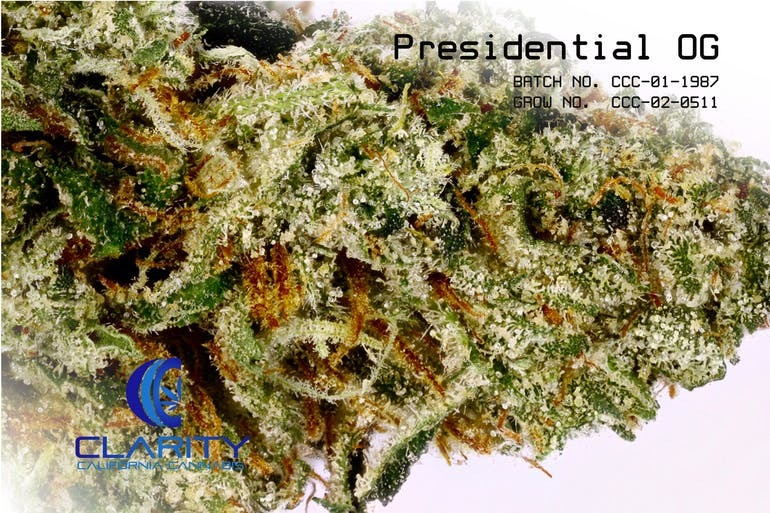 Presidential OG (also called Presidential Kush) by Royal Queen Seeds is an indicacross between Bubble Gum and OG Kush that definitely knows how to get your attention with its intense citrus-pine smell. As far as taste goes, it maintains the pine flavor and heads into more earthy terrain. Almost purely indica, this strain hits hard and fast with a sedative effect that make this a popular choice for those dealing with insomnia or stress.